Recruiting new staff and retaining existing talent is a common challenge that crosses industries. In the ambulatory surgery space, this issue is unique in that skilled surgeons are actively courted by multiple facilities where they are credentialed to perform cases — and a pending physician shortage will make keeping the good ones even harder going forward. A 2015 report from the Association of American Medical Colleges states that by 2025, the U.S. could be short between 46,000 and 90,000 physicians, and the greatest shortfall by percentage will be surgeons. In the ever-evolving healthcare landscape, surgeons have many options to choose from; here are two ways that ambulatory surgery centers (ASCs) can recruit and retain surgical talent. As in any business, ASC management should take the time to listen to employees, find out what motivates them, and respond accordingly. In an ASC, this applies to surgeons as well as all staff. Retaining existing talent at all levels allows for consistency of care, and has the added benefit of ensuring surgeons have reliable, trained staff to assist them, minimizing internal frustrations. At SourceMed, our management team regularly practices a concept called “Rounding for Outcomes,” coined by Quint Studer, founder of the healthcare consulting company Studer Group. It’s a practice of asking specific questions that allows you to take the pulse of your staff and perform a health check of sorts in terms of employee satisfaction. 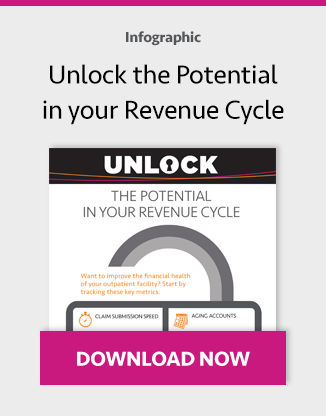 These can be as simple as “What is working well?”, “What needs improving?”, and “Do you have the tools you need to do your job?” Making time for employee rounding can help leaders identify successes, and discover (and resolve) issues before they escalate, all while making stronger connections with employees. In the process of employee rounding, leaders should be able to gain a better sense of the motivation of team members and identify individual employees' “what”. We all have a “what” — whether it is collective/departmental (i.e. all or most of the surgeons would like an automated solution for dictation/op notes), or individual (i.e. a surgeon prefers a specific brand of supply item). Identifying these motivators for both teams and individuals can assist leadership in effectively retaining existing talent by delivering against these “whats”, and demonstrating that the team's needs are understood and valued. Another way to keep your surgical talent happy is to ensure that the facility is organized and efficient. Wasted time looking for paperwork, delays in room turnover, or inefficient scheduling are not only costly in terms of facility operations, but can be frustrating factors for surgeons and other staff. Time is money! Look for ways to automate processes by implementing cutting-edge technology that meets security requirements. Does your facility use an automated solution for patient eligibility to prevent last-minute rescheduled cases? Do your surgeons have access to their schedule from their mobile devices? Is your operative note process (creation, review, approval) automated for surgeon efficiency? 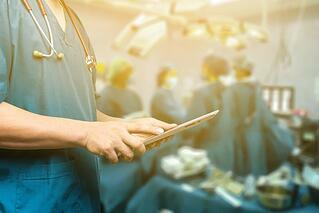 You should expect younger surgeons to be particularly tech savvy, and having a sophisticated technology environment will help with recruiting efforts. At the same time, experienced surgeons are always learning - new techniques and procedures as well as embracing new technology (especially where efficiency and improved patient outcomes can be achieved) - so employing these methods should assist in retention of your established, valued surgeons as well. The value of recruiting and retaining excellent surgeons is immeasurable for an ASC, especially in a value-based world where quality and patient satisfaction are at the forefront. That means you need to make sure your facility is a place they want to be — from a cultural, operational and technological standpoint. Make an effort to listen and respond to their needs, and you will build higher employee satisfaction plus a reputation as a desirable place to work. Remember: Happy employees are loyal employees! What would you "Ask a CASC" if you had the chance? We've begun this Q&A blog series to help you navigate the most important issues in ASC management. 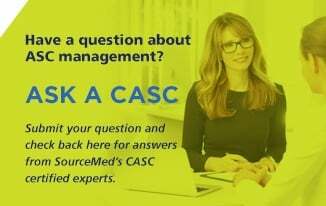 Submit your questions in the form on the right and check back for answers from SourceMed's own CASC certified experts.